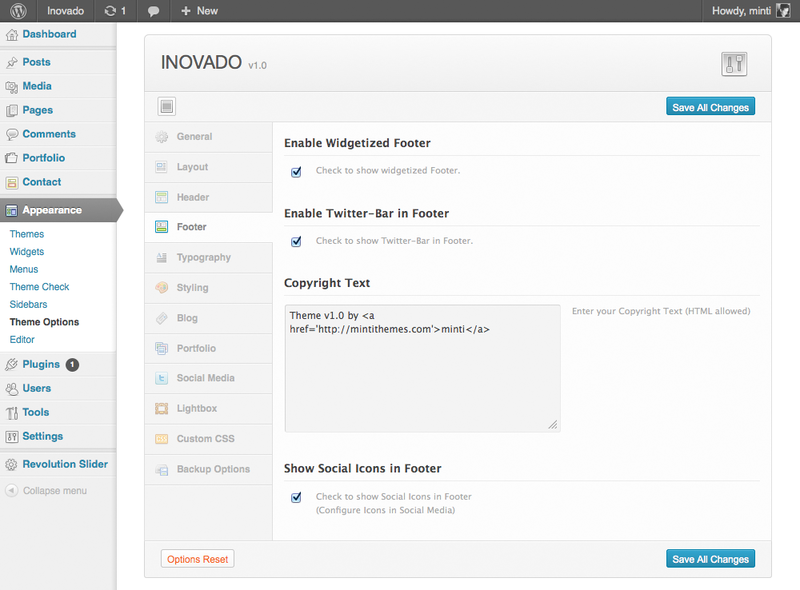 The Inovado Premium Theme makes it easy to fully customize the Layout, Colors and Style within minutes. Due to its superb flexibility of its framework, it allows you to create unique Websites for many purposes like Magazine, Blog, Portfolio, Creative or Business. 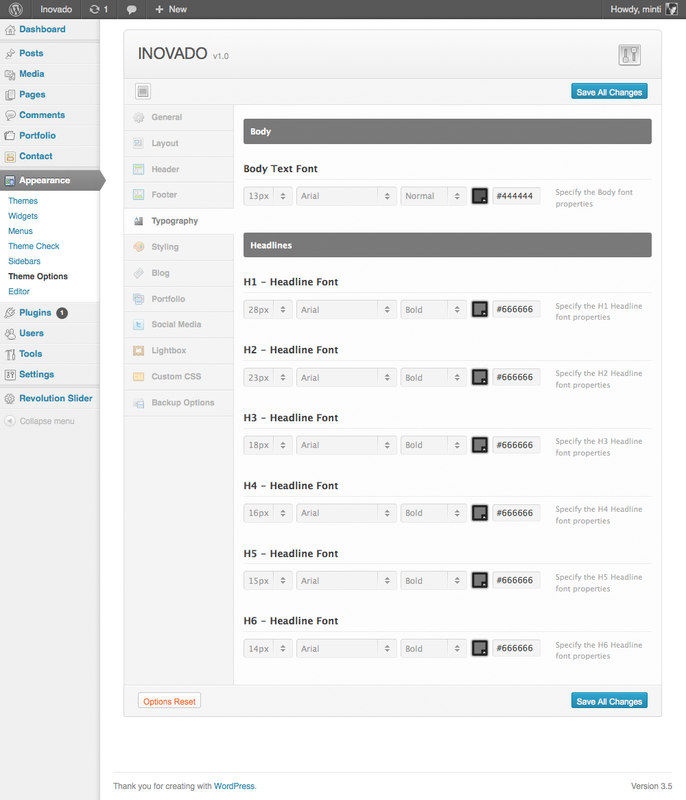 25+ Pre-configured Page Layouts for Home (14x), About, Service, F.A.Q., Pricing, Jobs, Portfolio, Features, Contact and more! Fully Responsive & Swipe enabled! 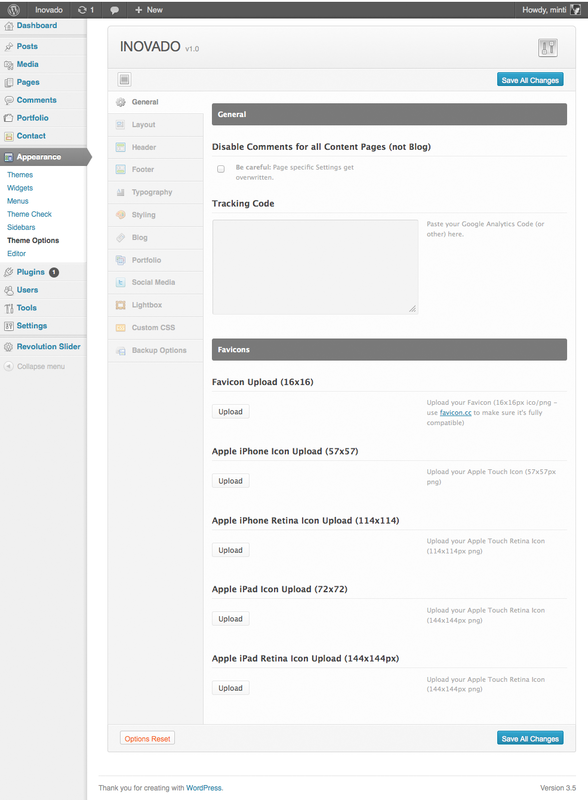 WooCommerce Plugin Ready with full Design integration & Fully Responsive! WooCommerce can be turned off COMPLETELY! 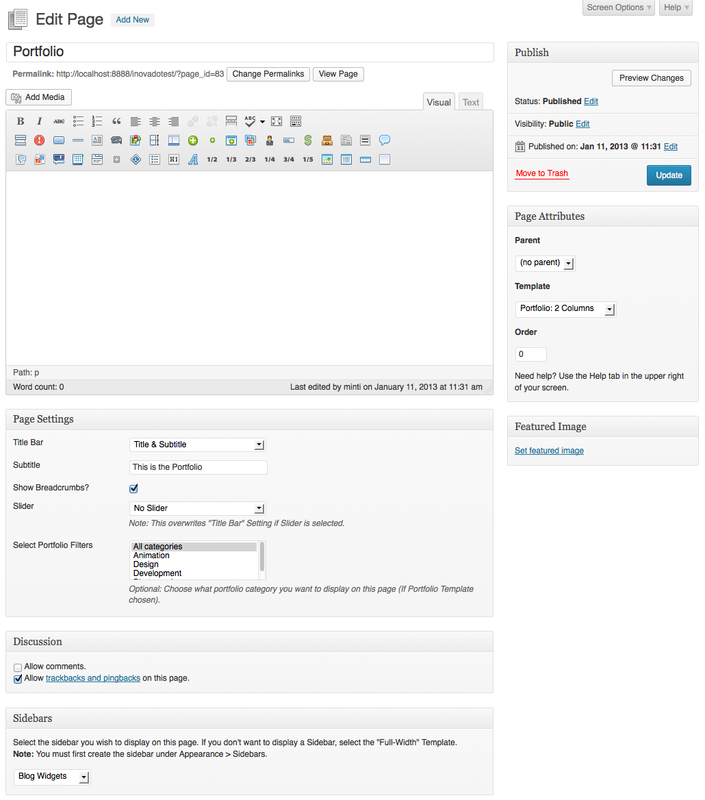 Use Sliders as Page Headings on every Page! This Themes comes with an extensive set of built-in and responsive Shortcodes (even swipe-enabled) and our nice Visual Shortcodes Generator. 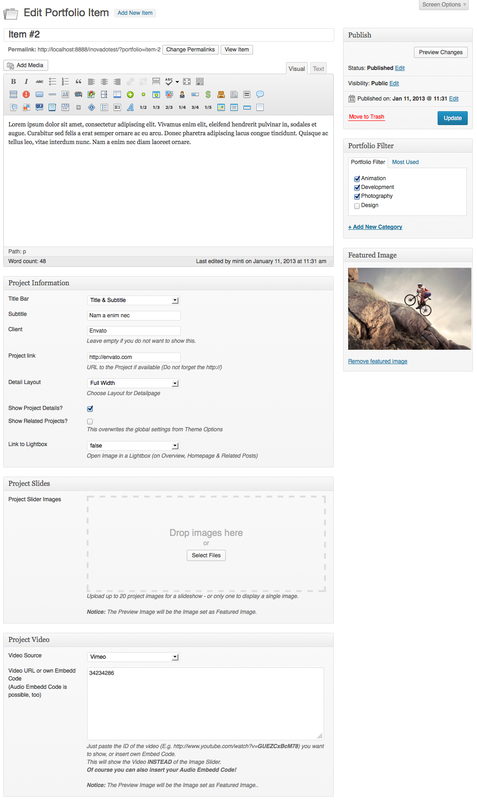 Use our predefined Shortcodes to create unique, incredible Pages in no time. 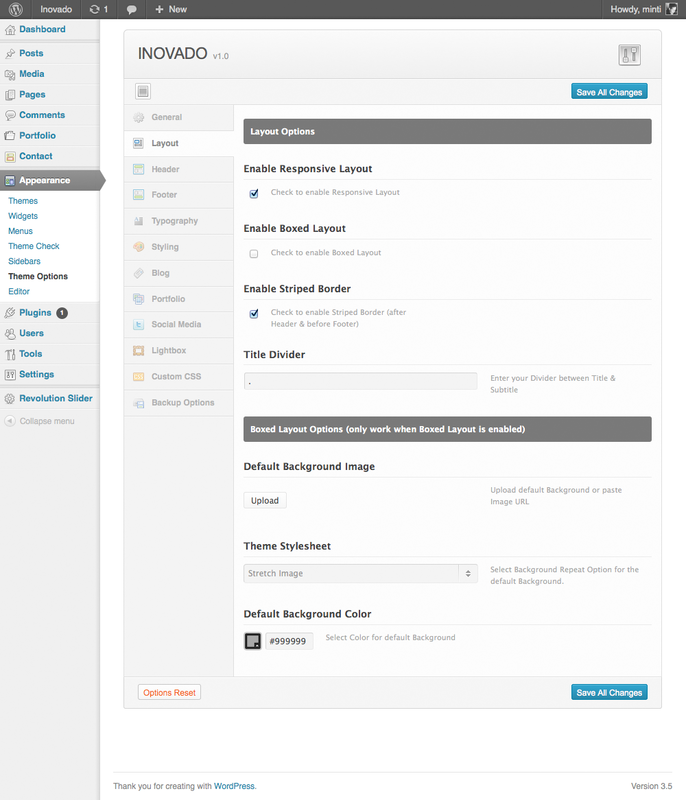 Here are some Screenshots of the Admin Area’s Custom Panels. 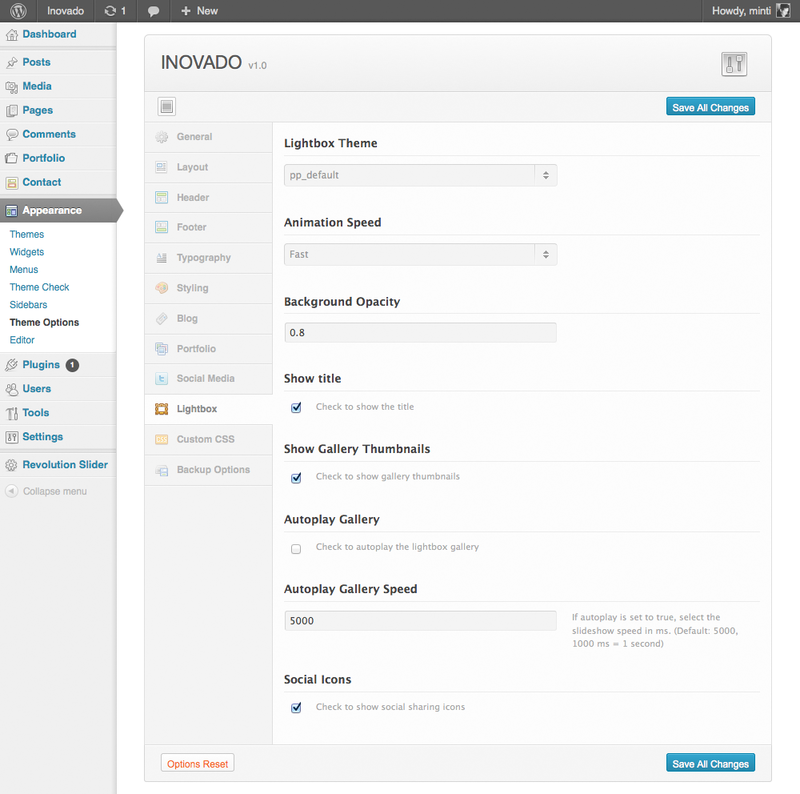 These are just a few Options from this powerful Premium Theme. 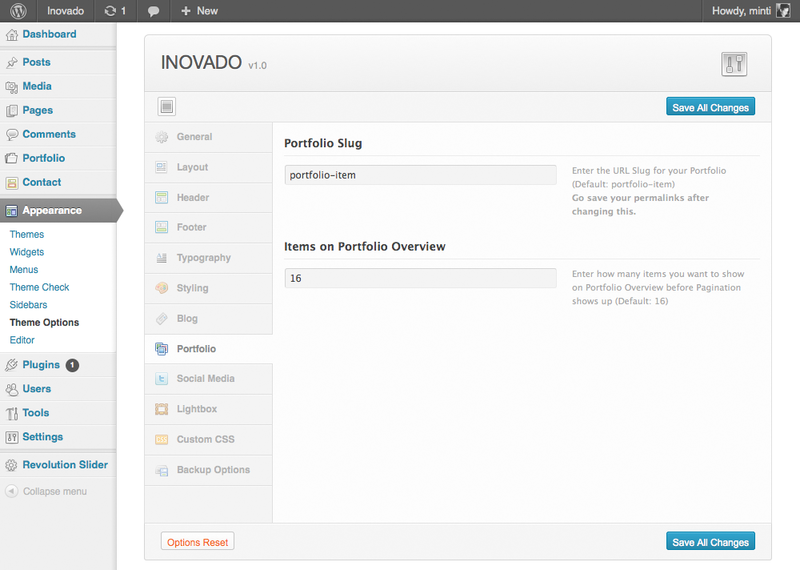 Inovado comes with an extensive help file & video tutorials to get you started and help you understand how the theme works. 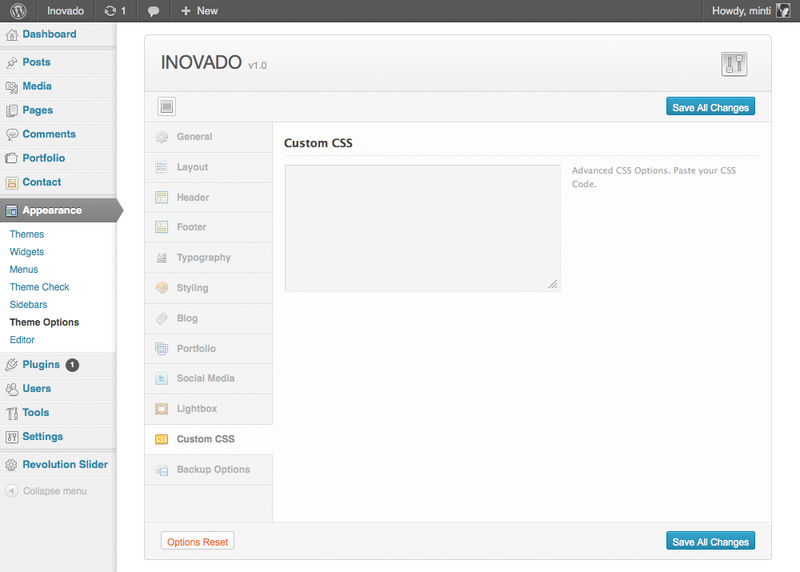 If you encounter any problems or have questions once you purchased Inovado, our Team will help you out and try to improve the theme according to your suggestions. And of course you can always comment here and we will reply. 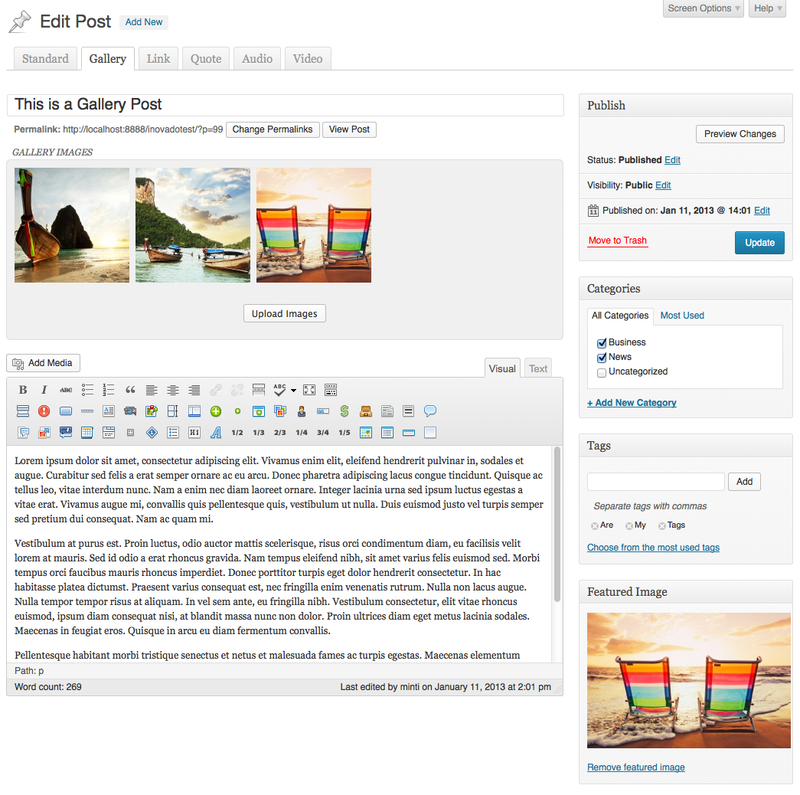 We want all my customers to be fully satisfied with our theme & support. 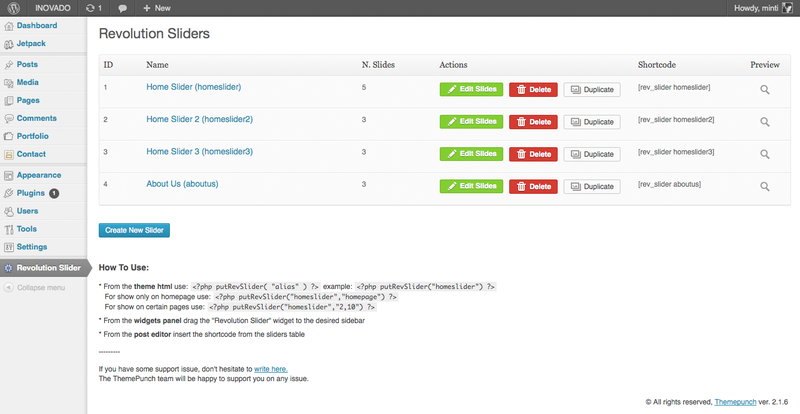 Please Update your Plugin: Important Revolution Slider Notice! 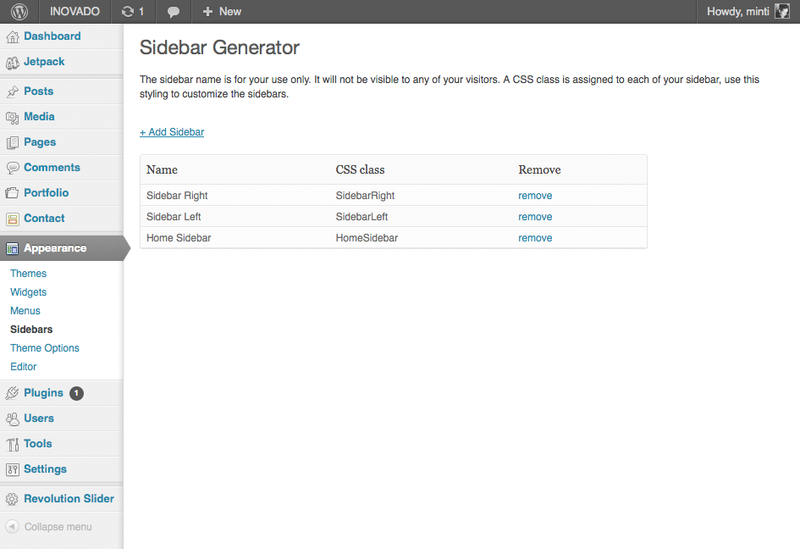 - Latest Version of Revolution Slider is now the default version. 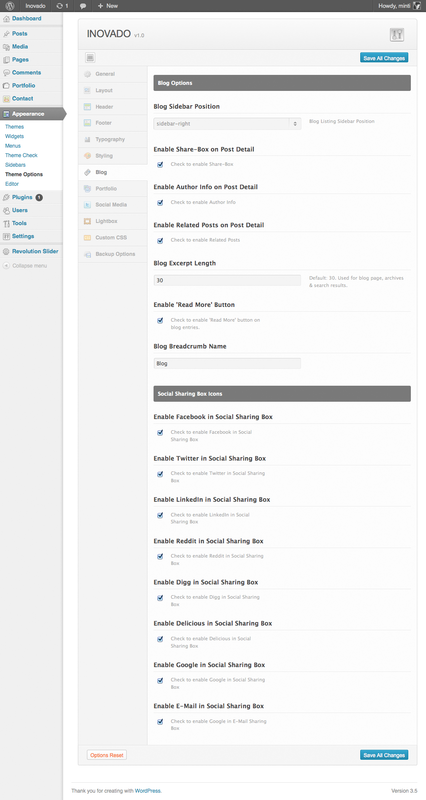 - NEW FEATURE: Every Header can be "sticky"